- Pregnancy & Lactation Prevention & Treatment of Iron Deficiency Anemia. Interested buyers can contact us anytime for placing orders; we ensure timely delivery of the same. Available with us in different grades and specifications, our products stand high on the counts of quality. 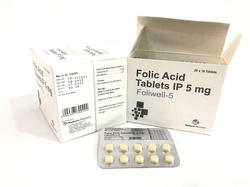 Iron folic acid tablets are used for the treatment of low level of blood iron (in anemia and pregnancy).